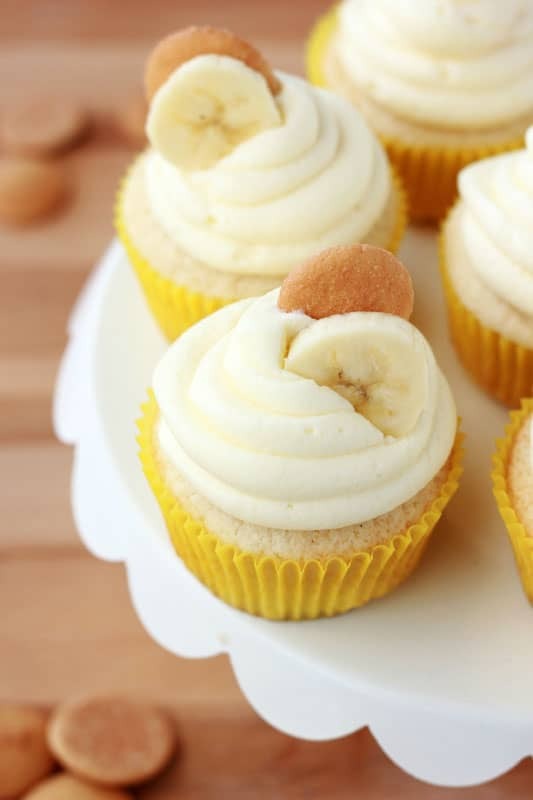 These Banana Cream Pie cupcakes start with a soft sponge cake base and are topped with a creamy banana pudding frosting. 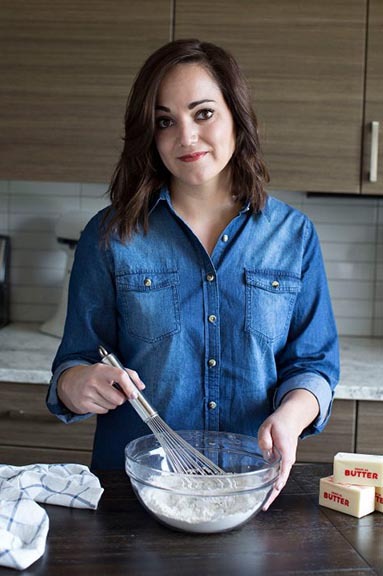 Ah, this recipe… It’s an old one that was posted waaaaaay back when my blog was a baby which means the photos were terrible and the recipe wasn’t much better. It was only a matter of time before I took the time to make them again and give this post a little boost! Banana pudding is one of my all time favorite treats. I like it all on its own, in pie form, as cheesecake, or any other way you can imagine. All of the magic starts with the wafers, am I right? Those little cookies are just too good to pass up with they are soaked and slightly softened by the creamy pudding so it only made sense that that would be how we start this dessert! I had mini cookies (since my seven year old insists) so we tossed 2-3 in each cup BUT if you have the full sized I recommend sticking with just one. This hidden treat gives you a little extra goodness in each bite! It’s like pie crust but in your cake. Speaking of cake, let’s talk about this one. 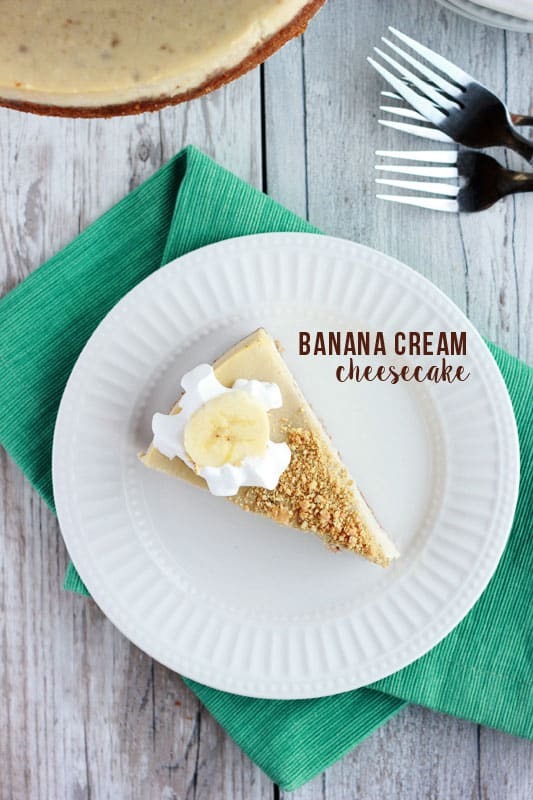 I know one of the big comments I’ll get about this recipe is that there are NO BANANAS in the cake itself. 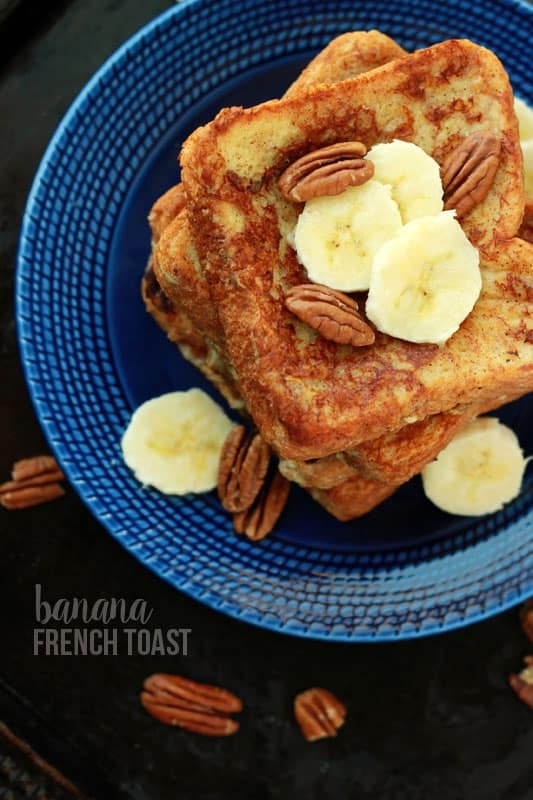 There are actually no actual bananas in this recipe at all. I wanted the cake to be sponge like and every time I added the fruit to the batter they ended up dense and muffin like which just wouldn’t do. 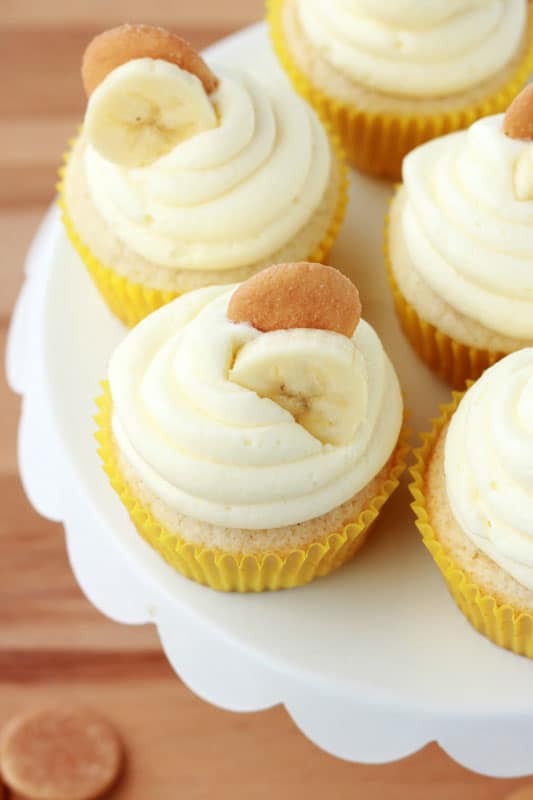 The frosting already has so much banana flavor that it was useless to use any more in the mix. SO forgive me now and try the recipe before you pass judgement. I’m sure you’ll be pleasantly surprised and add this to your favorites! 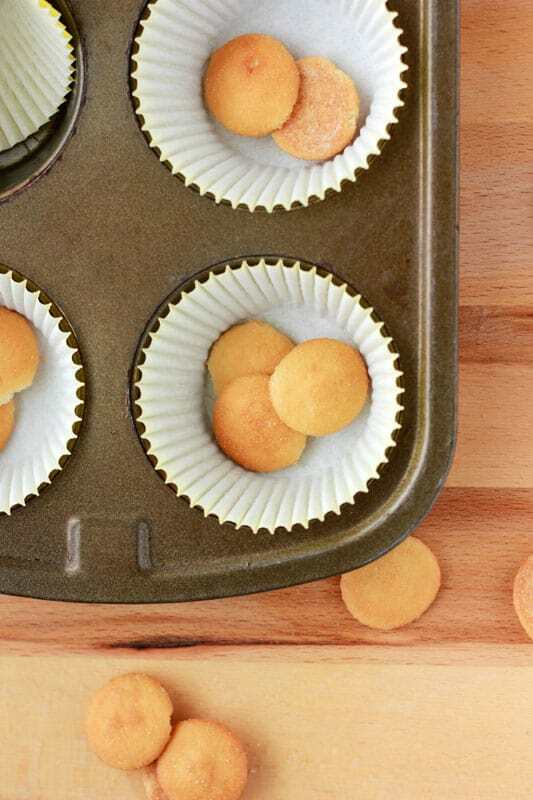 Preheat your oven to 350 degrees and line your muffin pan with paper liners. Place 1-2 vanilla wafers in the bottom of each cup. 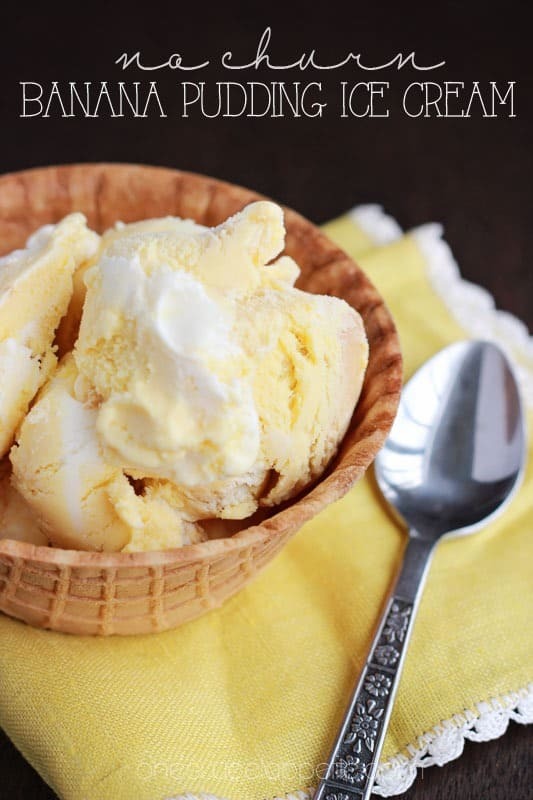 Combine the butter and sugar in the bowl of an electric mixer and whisk until light and fluffy. Add the eggs and vanilla paste. Fold in the dry ingredients and buttermilk. Fill each cup in your prepared pan 3/4 full and bake 18 minutes or until a toothpick comes out clean. Cool completely. Whisk together the pudding mix with the milk and set aside. Whisk the butter with the powdered sugar until combined. Stir in the pudding and heavy cream. Beat until fluffy. Spread or pipe onto your cupcakes. 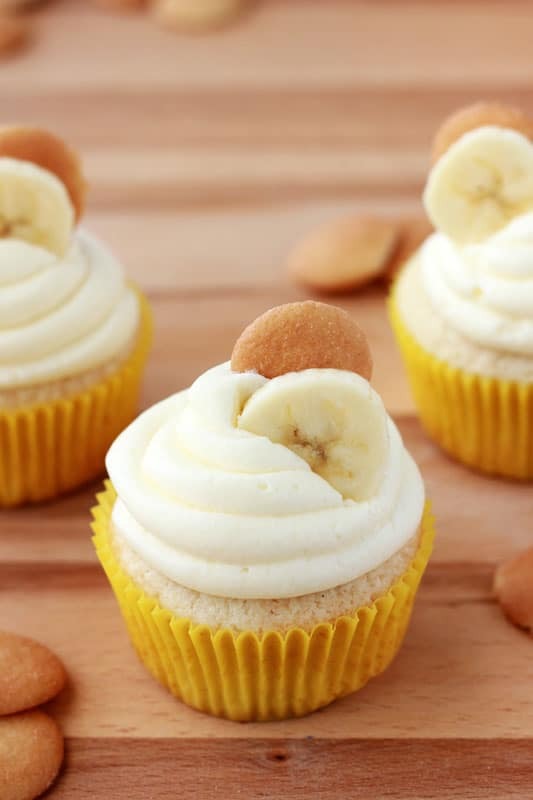 Add a slice of banana or cookie.